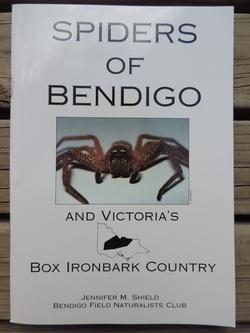 Publications page - Spiders - Bendigo Field Naturalists Club Inc. Compiled by Jennifer M. Shield, 2001. 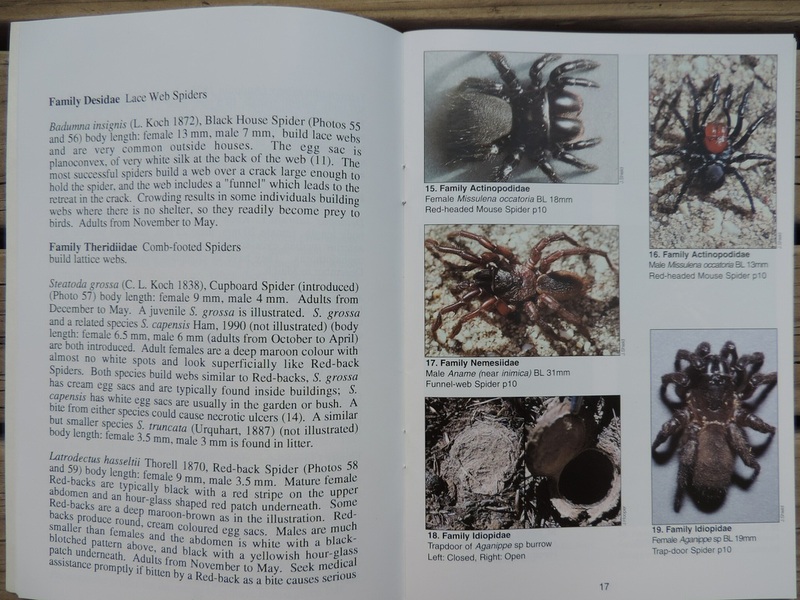 Colour illustrations to most of the spider species, with notes on their natural history. 64 pages.